The SOTER RS will increase the level of security operations for Chilean Customs not previously possible using conventional metal detectors. Non-metallic objects hidden under clothes, in natural cavities or within the human body cannot be detected by conventional metal detectors and typically, these non-detectable items, such as narcotics, explosives, precious stones, plastic weapons, or other contraband, can only otherwise be detected by highly intrusive total body searches. The SOTER RS is a low dosage body scanner, that combines ultra-low radiation with maximum visibility. It is compact and extremely user-friendly: there is no need for extensive training. 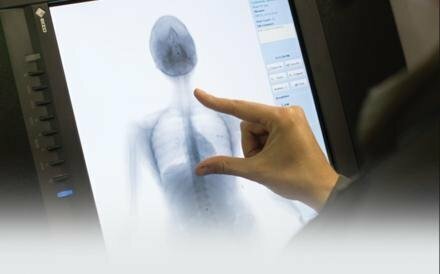 The high quality scan image is achieved with a minimum amount of radiation which is not harmful and will provide immediate results detecting any foreign material being smuggled. SOTER RS is successfully deployed in correctional facilities, in airports, detention centres, police and customs facilities worldwide including; Australia, Denmark, Ghana, Hong Kong, Kuwait, Malaysia, Mexico, Nigeria, The Netherlands, The United Arab Emirates, The United States of America, The United Kingdom, Chile, Sri Lanka and Vietnam.